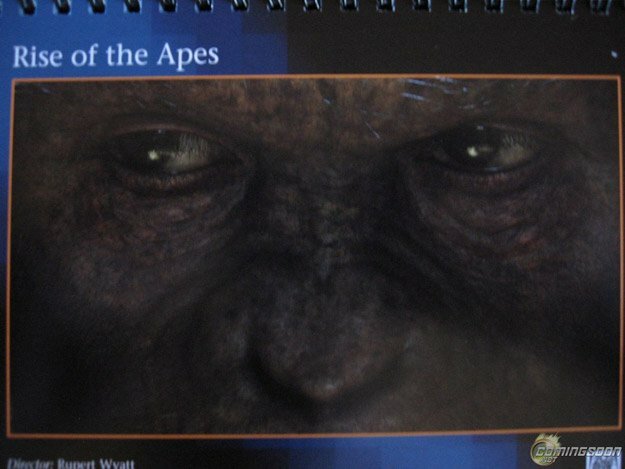 First we had the boring image of James Franco in a lab, now we have this incredibly minimalistic shot of Andy Serkis as Caesar, we'll his chimpy eyes anyway! Set in San Francisco, a young scientist desperately searches for a way to cure his ailing father’s Alzheimer’s. He begins immediate working by testing the cure on chimpanzees. When one of his test subjects, Caesar, begins to show rapid mental evolution, the scientist takes him home to save him from cruel lab owners. As Caesar’s intelligence grows, so do his ambitions for freedom and power.